This month, Einstein Law helped two long-standing clients enhance and expand their online marketing efforts. Our mission is to help lawyers make their sites more compelling, more educational, and easily accessible from any device. We invite you to learn more about how our cutting-edge products are helping lawyers across the country grow their practices by making their sites more competitive on Google and other search engines. 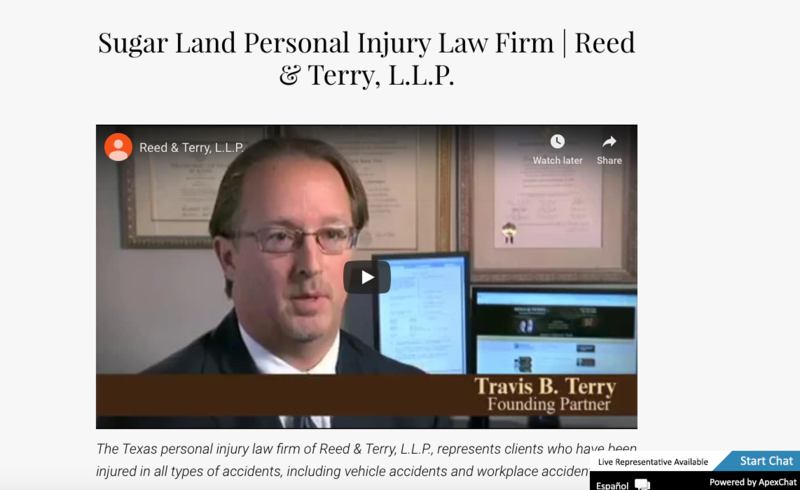 Reed & Terry is a personal injury law firm that has worked with Einstein Law for nearly 10 years. This month, we launched a new video section on their site, which features both candid interviews with the attorneys and compelling interviews with clients. Today, "content" means so much more than copywriting, and this vital addition to their already robust law content helps make their page into an engrossing multimedia experience. Rubin & Machado Ltd. has been a client of Einstein Law for more than 15 years. This month, it was our great pleasure to move their online home into a Forever Website. This product, which celebrated its first birthday last month, will automatically update to stay fast and accessible in terms of mobile website optimization and other key factors. 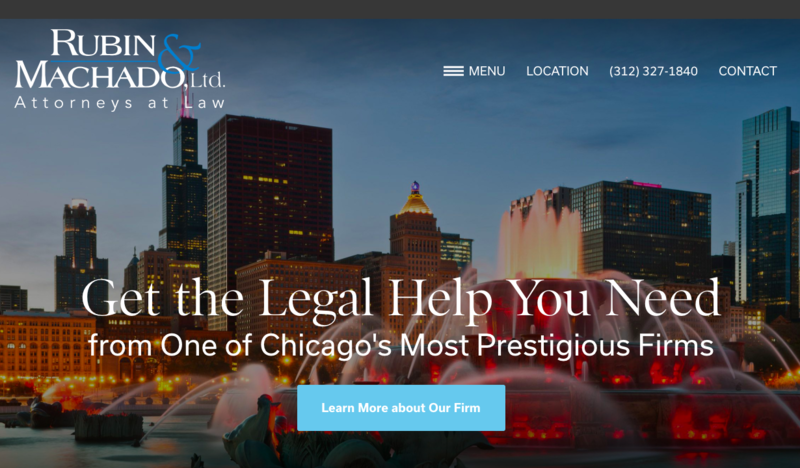 The Chicago personal injury law firm, whose lawyers handle cases ranging from medical malpractice to product liability, provides users with an information-rich bilingual content resource designed to help victims begin the process of rebuilding their lives after suffering devastating losses. Their new site provides a sleek new framework for their extensive content. Lawyers nationwide are experiencing more inquiries and a steady caseload thanks to the marketing innovations Einstein Law uses to make their sites more competitive. People facing litigation, mounting losses resulting from someone else's negligence, and other challenges are finding Einstein-curated resources that provide them with real solutions and a connection with an attorney who can protect their rights. That's because we take care to craft content that is not only enlightening, but also compelling and effective for the user. As with all web content, lawyer websites are in serious competition these days. With Einstein Law in your corner, you can leave it to us to make your website design and other essential elements of online marketing help you stand out on Google and other search engines. Reach out to us today to learn more about how we can help your practice.